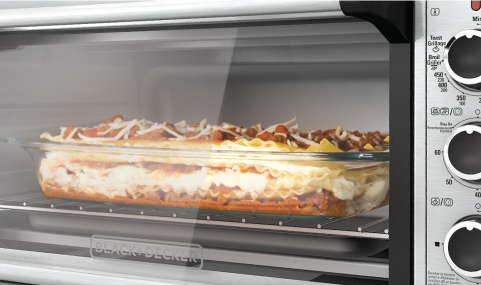 The BLACK + DECKER™ TO3240XSBD Extra-Wide Toaster Oven simplifies large baking tasks. Its extended interior fits an entire 13”x9” pan, so you can bake lasagna, brownies, and even 12” frozen pizzas in no time. 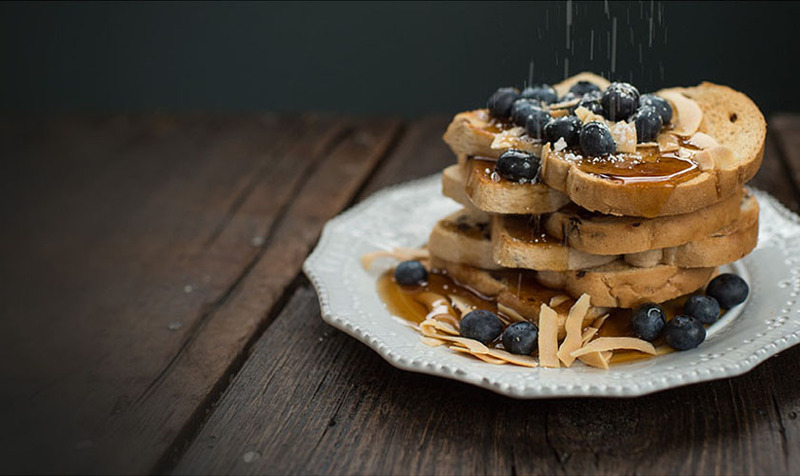 You won’t have to wait around for your large oven to preheat anymore, just set the correct temperature and time and you’ll be baking in minutes with four unique functions: bake, broil, toast, and keep warm. Convection technology circulates air within the oven for fast and even results while baking. 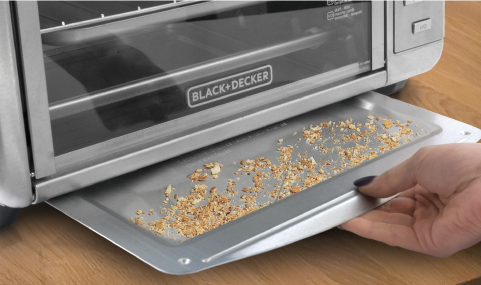 Plus, the external crumb tray is easy to slide in and out, making cleanup a breeze. Specially engineered to fit most 9”x13” pans with handles, eight pieces of bread, or a 12” pizza. Dedicated cooking functions include: convection bake, broil, toast, and keep warm. The 60-minute timer has stay-on functionality for longer baking tasks, and a dedicated toast timer puts you in control. A special convection fan optimizes heat circulation to ensure fast and even heating during baking. The tray slides in and out to easily remove crumbs before they burn in the bottom of the oven. Thank you for your interest. All of these models are extra wide 8-slice convection countertop ovens. The TO3240, TO3250, and TO3260 models feature analog dial controls, along with some minor cosmetic differences. The TO3290XSB has an all stainless steel exterior and digital controls.